Is it possible to hide the visual feedback on the PIN entry on the Android stock lock screen? I know that it is possible to disable the feedback when using a pattern, and I read tips that the pattern setting would also apply to the PIN entry, but I tried that and it didn't work. I usually use the finger print sensor to unlock the phone, but on the rare occasions when it asks for the PIN ("for security") I always wonder why anyone would design a PIN entry screen like this. I don't know if it matters, I'm using a bq Aquaris X. The Aquaris X5 I used before that had the same behavior (with Android 7), the HTC One before that did not (IIRC .. it's been a while). Browse other questions tagged lock-screens privacy 8.1-oreo or ask your own question. 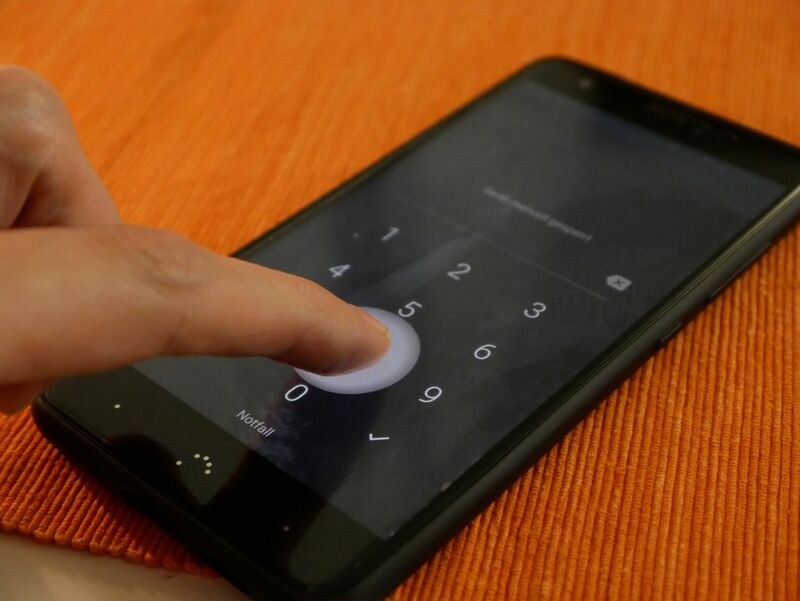 How to hide pin pad or lock pad on unlock screen? Why is my phone coming on in my pocket? Is it possible to change the PIN screen lock? Pin to set lock screen?